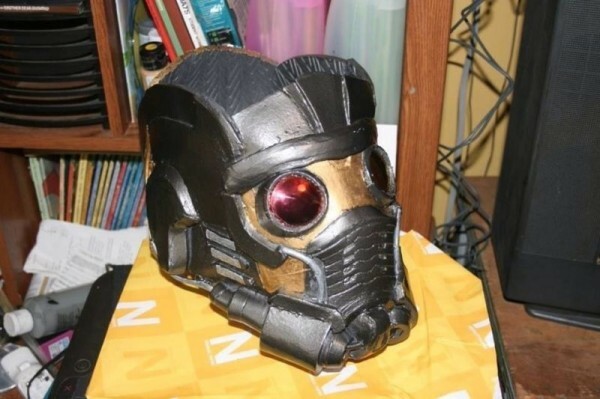 Create Your Own Star-Lord Helmet « Adafruit Industries – Makers, hackers, artists, designers and engineers! Marvel’s latest film, Guardians of the Galaxy, has turned a bunch of outlaws/heroes into household names. Peter Quill, a.k.a. Star-Lord, is the leader of the group. 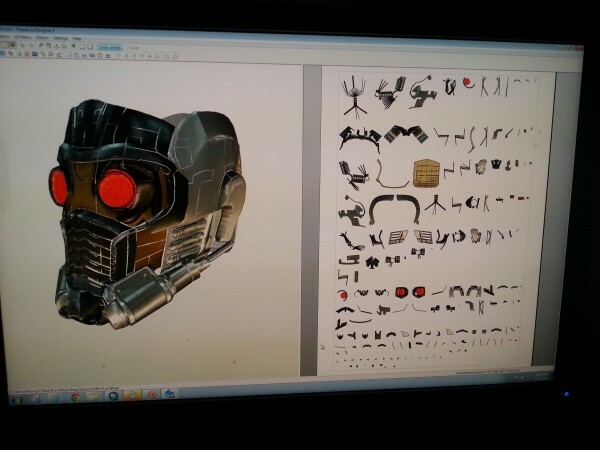 He doesn’t have an elaborate costume, but he does have a cool helmet and Helagak has already made pepakura and 3D print files so everyone can make a Star-Lord helmet. YouTuber alwaystimstime built the beauty you see in the above video. It’s made from EVA foam, wooden skewers like you’d use for kabobs, and a little bit of PVC pipe. In an extremely resourceful move, he used pink and yellow plastic clipboards for the lenses.